Forget Netflix, these days it's all about podcasts. Podcasts have become exceptional resources for business, true crime, education and interviews. In fact, there is a podcast for absolutely any interest or curiosity. Interested in diving into the world of business during your daily commute to the office? These podcasts are filled with insightful discussions on money matters. NPR's How I Built This, hosted by Guy Raz, is the #1 Business Podcast on PodBay. The show features narratives from the founders, innovators, and entrepreneurs of some of the most popular and well-known brands and companies. Conversations have featured such figures as SPANX founder Sara Blakely and Instagram creators Kevin Systrom and Mike Krieger. How I Built This is released once a week, and each episode is about 30 minutes in length. NPR's Planet Money is currently the 2nd most popular business podcast, as ranked by iTunes. The podcast provides interesting and well-researched reports on relevant and well-timed topics. Popular episodes include "Now that Donald Trump is President-elect, what can he actually do?" and an investigative series into Wells Fargo. The podcast is released twice a week, and each episode is between 15-25 minutes in length. Care for a deep dive into the criminal underbelly of society? These podcasts will keep you captivated with all the scandalous details. 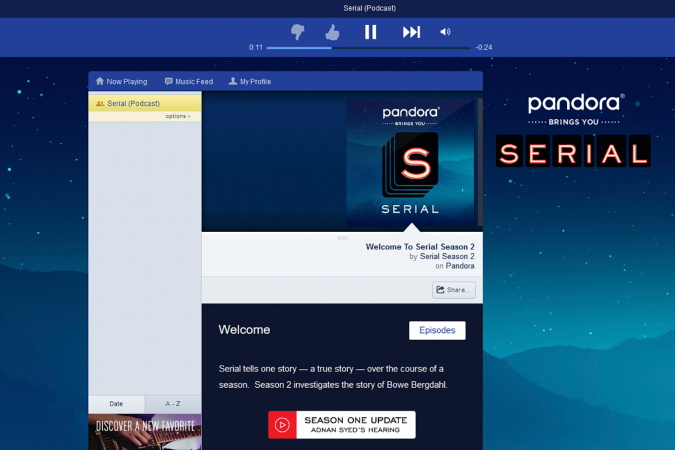 It would be remiss to even as much as mention podcasts without honoring Serial, the groundbreaking series that made this listening concept so popular. Hosted by Sarah Koenig, Serial is the most popular podcast of all time. Serial is a documentary about convicted murderer Adnan Syed, who has declared his innocence, from prison, since 1999. Using investigative journalism, the story takes many twists and turns, leaving the listener in suspense until the next episode. Two seasons have been released with each episode running approximately 45-60 minutes long. Criminal, hosted by Phoebe Judge, frequently appears on numerous "best of" podcast lists. The podcast covers "stories of people who've done wrong, been wronged, or gotten caught somewhere in the middle." Each monthly episode features a distinctive, real life criminal case. None of the stories are high-profile, and most are not familiar. The episodes are short, running approximately 15-20 minutes each, but seriously addictive. They say you should learn something new every day. Listening to the right podcasts can make that process infinitely easier. In the award-winning podcast Stuff You Should Know, hosts Josh Clark and Chuck Bryant get to the bottom of random but fascinating questions, like how fireplaces work or who gets to name continents. The episodes are on point, informative and entertaining. Stuff You Should Know does an excellent job of making learning interesting. Episodes are released once a week and last approximately 40 minutes each. 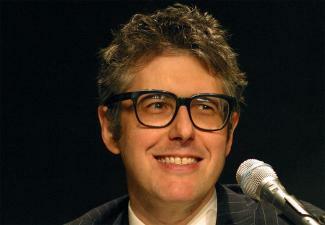 Boasting over 2.5 million downloads per episode, Ira Glass's This American Life is often ranked the most popular podcast in the county. The show features both fiction and nonfiction stories, and each has a different theme. This American Life is often moving, humorous, and unpredictable. Premiering each Monday, episodes are an hour long. Some of the biggest podcasts on the planet feature interview segments with famous celebrities, discussing their recent projects and perspectives on life. WTF with Marc Maron is quickly becoming a podcast phenomenon. Currently, each episode of WTF is downloaded more than 200,000 times. The podcast features the comedian and celebrity interviewer's candid conversations with comedians, musicians and actors, those both respected and reviled. Maron has a unique, conversational interview approach, encouraging his subjects to open up and divulge new and interesting facts and opinions. Interviews are not short, often lasting over an hour, and premiere every Monday. NPR's Fresh Air with Terry Gross, a Peabody Award-winning podcast, is one of public radio's most popular programs. The podcast features in depth and compassionate interviews with guests from all realms of American culture. Notable guests include Trevor Noah and Francis Ford Coppola. Episodes of Fresh Air are delivered six days a week, and each episode runs between 40-50 minutes in length. All of these podcasts, and hundreds of thousands of others, can be found on iTunes or through most podcast apps. If these don't keep you occupied, just look around, because there is no shortage of options. When it comes to podcasts, your possibilities are endless.